Today we stared on our birding trip to Southern Africa, First we drove from Naples to Ft. Myers to let our dog, Kenya, off an Evan & Tiffany. We then drove to the East coast via State Route 80. 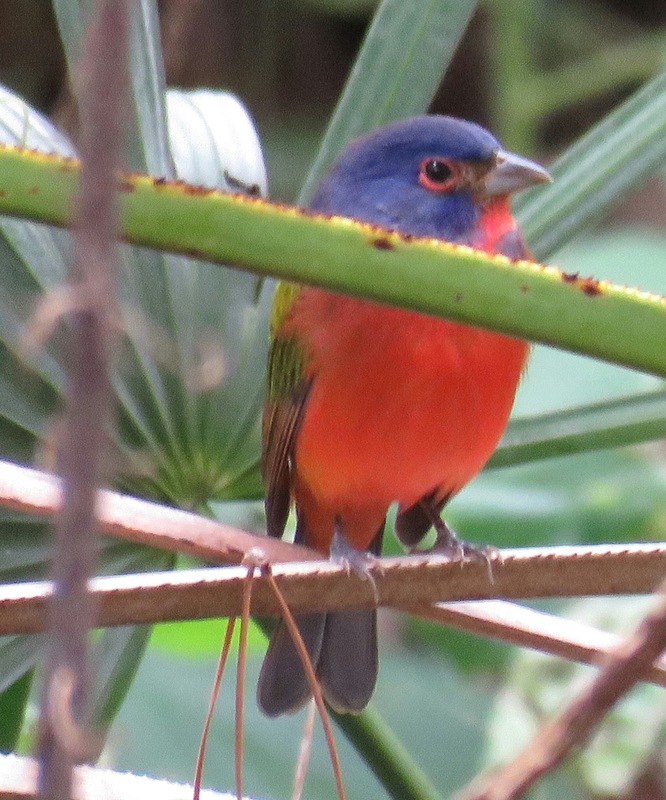 We stopped off at Green Cay Nature Center in Boynton Beach, FL. 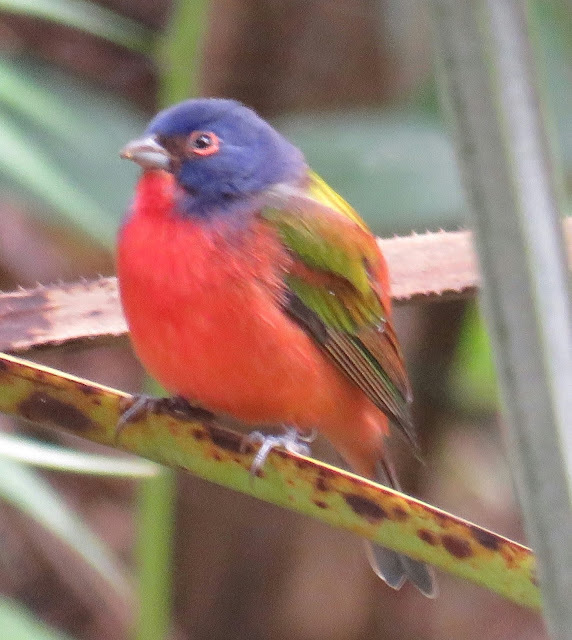 We were greeted at Green Cay by two beautiful male Painted Buntings; photos below. Tomorrow we take a plane from Ft. Lauderdale to JFK airport in NYC and from there onto Johannesburg, South Africa, where we will arrive Wednesday morning, Nov. 2.